Mega Sale! Save 25% on the Language Crimes: The Use and Abuse of Language Evidence in the Courtroom by Brand: Wiley-Blackwell at Translate This Website. Hurry! Limited time offer. Offer valid only while supplies last. 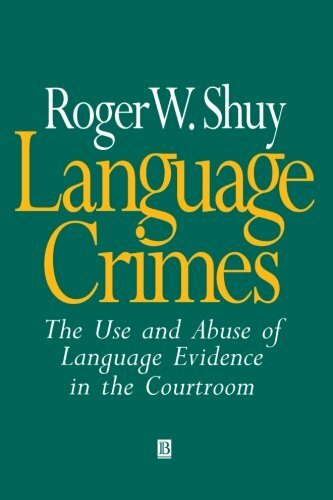 Language Crimes tells the story of some of the remarkable criminal court cases in which Roger Shuy has served as a consultant or expert witness.